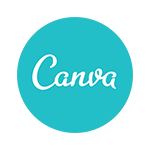 Geographic Imager, by Avenza Systems Inc., is a design software that allows users to quickly import, edit, manipulate, and export geospatial images such as aerial and satellite imagery using Adobe Photoshop. It features a Georeference tool with custom coordinate system detection to enhance the imported or scanned unreferenced imagery and maps. In this article, we cover its pricing options. Ready to try Geographic Imager? Get a free trial. As of the date this article was written (12/17/18), there are no user reviews of Geographic Imager online. 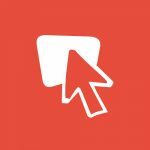 If you are a past or current Geographic Imager customer, leave a review to help others who are deciding whether or not to use the software. Geographic Imager offers five one-time licensing options: Basic Fixed ($99), Fixed ($699), Floating ($1,599), GeoStudio Bundle for Fixed License ($1,899), and GeoStudio Bundle for Floating License ($3,949) . The main difference between the plans is the functionality they provide, as well as the ability to run the software in multiple servers. 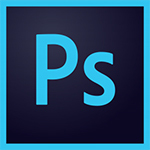 Basic Fixed License $99 No Allows users to import geospatial images (such as aerial and satellite imagery) in Adobe Photoshop for basic editing. Fixed License $699 or ($649) No Provides advanced tools for importing, editing, exporting, and manipulating geospatial images, with one year of free maintenance. Floating License $1,599* Yes Same functionality with Fixed License, but Floating License server supports clients of mixed operating systems. GeoStudio Bundle (Fixed License) $1,899 No MAPublisher (another product of Avenza) + Geographic Imager Fixed License. *The Floating License fee shown above is applicable to one to four licenses. 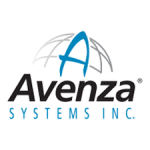 For five or more concurrent users, you may contact Avenza’s sales team for discount and volume pricing details. All plans except Basic Fixed License include maintenance, which includes one year support and upgrades. Ready to try Geographic Imager? Get a free trial. Does Geographic Imager offer discounts or special pricing? Yes. Non-profit, academic, and volume discounts may be available for qualified customers. You may get in touch with Avenza for more information. Subscribers who upgrade from Basic Fixed License to Fixed License within 60 days of purchase can also avail of a $49 discount. What versions of Photoshop does Geographic Imager support? Geographic Imager is available for Adobe Photoshop CS6 and Adobe Photoshop CC. Not sure if Geographic Imager is the right fit for you? Read our reviews of all top design software providers or check out one of these three Geographic Imager competitors.